As its name suggests, complex regional pain syndrome is a multifaceted problem that causes pain — often severe pain in an arm, hand, leg, or foot. 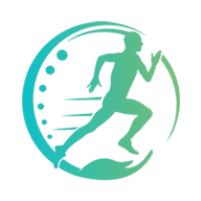 When conventional treatments don’t relieve your pain, Arun Kandra, MD, and Vivek Das, MD, at Premier Spine & Pain Management can help with effective interventional treatments. If you have persistent pain in one of your limbs, schedule an appointment by calling one of the offices in New Jersey or Pennsylvania, or by using the online booking feature. The practice has locations in Easton, Pennsylvania, and Somerset, Hillsborough, Succasunna, and Middletown, New Jersey. Following an injury, the pain persists for at least six months, well after the injury has healed. The experts believe that CRPS develops when nerves are damaged or don’t work properly following an injury. The condition usually involves small sensory nerves that carry pain messages and signals to blood vessels, which in turn affects the vessels. The malfunctioning sensory nerves also trigger damage in the spinal cord. In some patients, CRPS develops without a physical injury. When this happens, it may be due to an internal injury caused by an infection, blood vessel problem, or pinched nerve. What symptoms will I develop with complex regional pain syndrome? You may also have a hard time moving the affected limb, or involuntary muscle contractions may cause jerking or twisting movements. When you have CRPS, it’s important to keep the affected arm or leg moving because exercise prevents muscle loss and maintains flexibility. Beyond physical therapy, a variety of medications may help relieve symptoms, but they meet with varying degrees of success and fail to help many patients with CRPS. 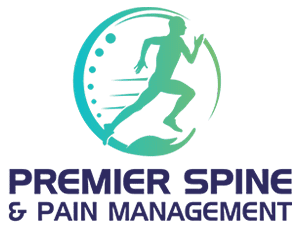 The pain management experts at Premier Spine & Pain Management offer specialized treatments that are effective because they target the spinal nerves relaying pain messages to your brain. Your customized treatment may include options such as a sympathetic nerve block or implantation of a spinal cord stimulator, which blocks or masks pain signals. Some patients may benefit from an intrathecal pump implant that delivers pain medication directly to spinal nerves. If you suffer ongoing pain in a foot, leg, hand, or arm, relief is available at Premier Spine & Pain Management — call or book an appointment online.